Limerick has been awarded a substantial grant in the biggest EU Research and Innovation Funding programme, Horizon 2020, for a smart cities and communities project worth €6.5m to the city. The +CityxChange (positive city exchange) is a smart city project submitted by a consortium of 32 partners including Limerick City and County Council from 11 countries. The fullscale project will receive €20 million in funding from Horizon 2020 which has nearly €80 billion of funding available over 7 years. For the next five years, Limerick City along with the city of Trondheim in Norway will work with five other follower cities, Alba Iulia (Romania), Pisek (Czech Republic), Sestao (Spain), Smolyan (Bulgaria) and Voru (Estonia) to develop together through citizen engagement a series of demonstration projects on how to become smart positive energy cities. Together with all of their citizens, they will develop solutions that will help generate more energy than they consume, and exchange experiences with cities across Europe to learn faster, together. By winning the grant, Limerick will become the first Irish ‘Lighthouse Smart City’ – Lighthouse cities are ones that develop and tests integrated innovative solutions at district scale and act as exemplars for their region and other cities and regions across Europe. Limerick is the only Irish city to ever receive this prestigious award and €6.5m of the overall funding will go directly to Limerick and its partners. The focus in Limerick will be on the development of a new “community grid” and the use of smart meters, innovation in new energy sources (including hydrokinetic energy) and storage, digital tools and citizen participation to create what is called a ‘Positive Energy District’ in Limerick city centre, starting with the Gardens International building and ENGINE training and workspace provided by Innovate Limerick. A Positive Energy District is one that contributes more energy than it consumes. Limerick’s demonstration project will be centred in the Georgian Innovation district in the city centre (Georgian/Newtown Pery areas). The project will be led by Limerick City and County Council and Trondheim Kommune (Norway) and hosted by the Norwegian University of Science and Technology (NTNU). The Irish partners include the Limerick Clare Energy Agency, Innovate Limerick, University of Limerick, IES R&D, Smart MPower, ESB Innovation and ESB Networks, Space Engagers, GKinetic Energy Ltd, Future Analytics Consulting. 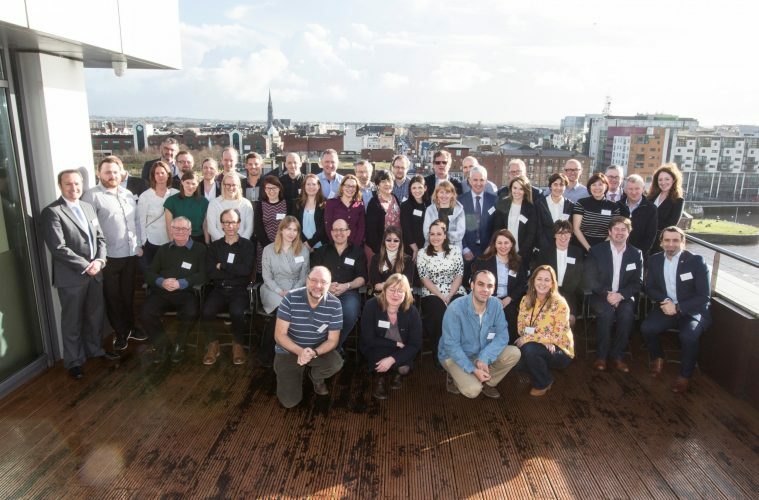 In its evaluation, the European Commission commended the Limerick +CityxChange proposal for demonstrating and substantiating actions that will contribute to the wide scale roll out of Positive Energy Districts across Europe. The Commission commended the Limerick led project’s convincing approach to make local governments an active and integral part of the energy solution and engage citizens in the city’s transformation. The project includes the development of a framework and supporting tools to enable a common energy market. This market will be supported by a ‘connected community’ using digital technologies for collaboration, to reduce energy costs and resource consumption and to engage more effectively and actively with its citizens. Contract negotiations will now begin between Limerick and its partners and the project is set to begin in 2019. The final two years involve monitoring and evaluation.